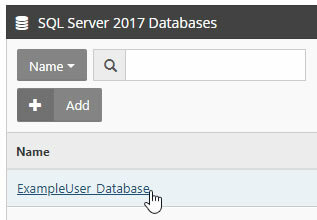 This article shows you how to Restore SQL Server Databases in the Hosting Control Panel. 1. 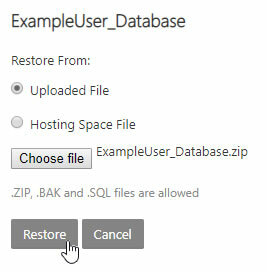 You will need a full backup of your SQL Server Database to restore from. 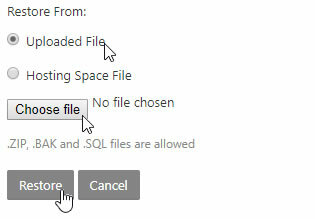 This would be a file with a .bak extension provided by your present hosting provider or if you created the database on your own computer a full backup created in SQL Server Studio Manager. 2. 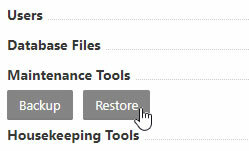 Log into your Hosting Control Panel.